"Love this place! The most challenging terrain in the east, but plenty of terrain for less adventurous skiers. Beset glades also. Can be frosty, but it&apos;s also the best! Also, great coverage for machine made snow. Great ski in ski out accommodations. The most beautiful ski area I&apos;ve ever been to." "Hands down the best skiing, best atmosphere, best terrain on the east coast. It‚Äôs what skiing should be. And when the lift lines are at their busiest, the mountain itself is still desolate. Perfection!" "Sugarbush is Northeast skiing at its best. 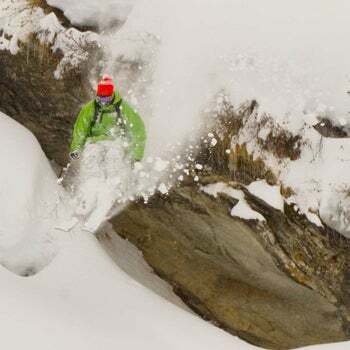 The terrain is very varied, and though the trails have some old-school quality, they also provide more than enough challenge for today&apos;s skiers and equipment. The area is beautiful and the residents and area make Sugarbush a wonderful place to visit. There&apos;s a great diversity of personalities and people intermingled to make it a happy, friendly, happening place!" "Killington by far has the best terrain in Vermont. There are easy beginner trails and winding &apos;roads&apos; that gives a lot to new skiers and awesome expert terrain with a variety of long steep trails, bumps, tree skiing, you name it they&apos;ve got it. I don&apos;t do the terrain parks but I hear great things about the Burton designed park. You can&apos;t beat the Killington access road for great Restaurant and night life. Its approx 10 miles of restaurants, hotels and clubs ending at the panorama of the multiple mountains that make up Killington from Bear Mountain with one of the steepest slopes in the east to Snowden where wide beginner slopes teach the next generation of skiers. We love Killington." "Smuggs is the reason I live in this area. Can&apos;t beat the challenge of the terrain ANYWHERE on the East coast. ANYWHERE!! The locals are the best people in the world. The kids programming is unmatched. They&apos;re growing life-long skiers with heaps of respect and appreciation for the mountain and the sport. Tons to do. Scenery is amazing. Service is tops. I really can&apos;t say enough about Smugglers&apos; Notch." "One of the most inviting, stoked places I&apos;ve ever shredded. Amazing terrain, challenging yet skiable for all ability levels, and it feels like there are no strangers on the mountain." "I drive 4 hours nearly every weekend to get to Sunday River. There are many closer options, but the blend of people, terrain, snow quality, amenities and food make it worth the trip." "Cannon is tops for terrain, charm and ease of access. It&apos;s an insanely underrated learn to ski mountain w it&apos;s separate area for learners. With its 2 for 1 Tuesday and Thursday deals it&apos;s also a rare value mountain." "Wildcat is an old school skiers mountain. There is a great variety of terrain but one of the best features of this mountain is the glades. Also another amazing part of this mountain is the ski patrol. Most mountains ski patrol are strict enforcers of the rules at all times wildcat ski patrol will say something if someone is being irresponsible but are always very approachable." "Mount Snow is a family friendly mountain with terrain for everyone. The snowmaking system & enormous water reserve all the mountain to provide amazing conditions despite Mother Nature!" Top 10 resorts in the East for Challenge, according to SKI's Reader Resort Survey.